First in the Peterborough area for many years and the first twitchable for decades (my first locally). Great find by Andy Frost and Neil Crossman while surveying a newly 'rewilded' part of the Great Fen project between Holme Fen and Farcet on what used to be Whittlesey Mere over a century ago. That's Yaxley in the background. It's been a bit quiet for birds from the office window recently but that changed yesterday when a Waxwing settled on the top of a tree opposite for about 10 minutes. It only left when I nipped out to try and get a better photo. Then today a Woodcock cruised past looking for somewhere to get in cover. 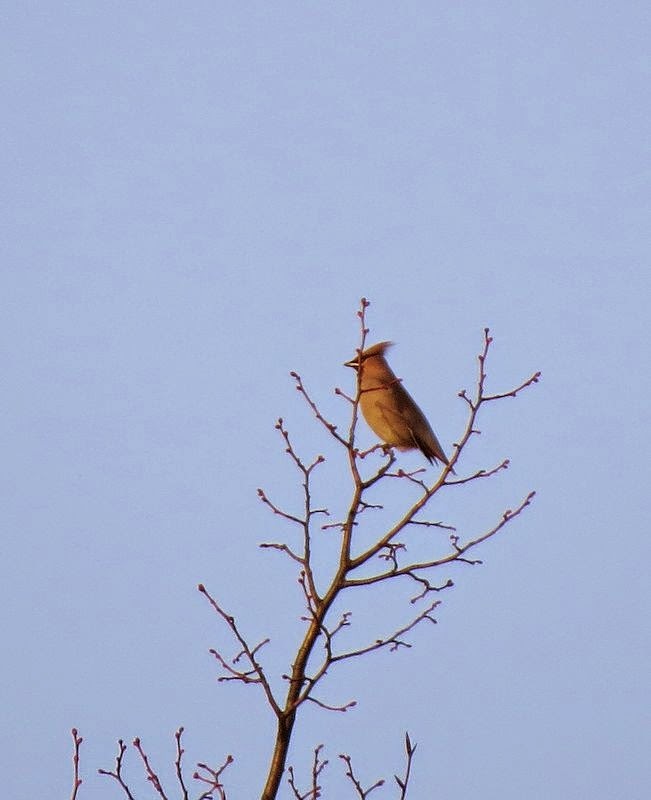 Neither were firsts, in fact there have been quite a few Waxwings during invasion years.